Providing structure field inspection services for this 1307’ long by 32’ wide, 9-span, seismic retrofit project over Sacramento River. 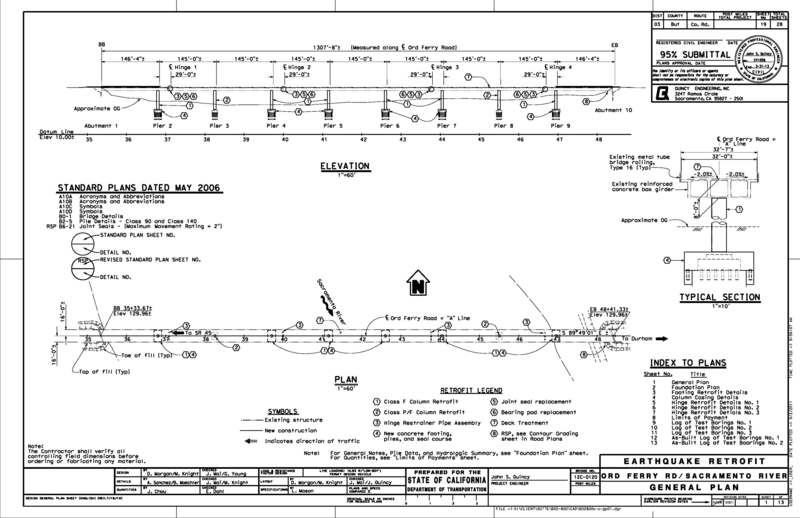 The seismic retrofit includes: Column Retrofit, Hinge Restrainer Pipe Assembly, Footing Retrofit, Joint Seal Replacement, Bearing Pad Replacement, and Deck Treatment. 7 County Center Drive Contractor: Golden State Bridge, Inc.